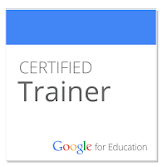 I'm a Google for Education Certified Trainer and a K - 12 Instructional Technology Coordinator. Please contact me with questions or any needs for training related to Google Apps and technology integration. I'm learning every day to teach like an artist. I'm getting better at presenting with passion, catching a dream and making it something real that inspires others. If you're interested in keeping up with my classroom presentation games, music video projects, technology lesson plans or other thoughts related to creativity and education, please follow me on Twitter. My faith is an important part of my life and it fuels my passion to help every student to become the person he or she is created to be. For me, this is usually expressed through music. My family is involved in our church worship team. It is a dream of mine to incorporate more music creation into project based learning (or similar) lessons across all content areas. First, Kevin Kelly's comments about the purpose of technology in this interview from Christianity Today recharged my passion for my work. And Kevin Honeycutt is a big inspiration to me. His work reminded me that the arts (and music in articular) can be an excellent way to fire up students' passion and help them find a voice. Appealing to their passions, one of which is a desire to learn. Making a meaningful contribution now. In the "real world", people learn best when they are working to accomplish a goal they care about. It should be no different in school. An appropriate problem solving challenge. Looking back at almost two years of posts, it appears my attempts to spread this message will regularly fall in a few general categories based my interests, talents and circumstances. Tech tips and tools - I like free, but I'll settle for cheap. 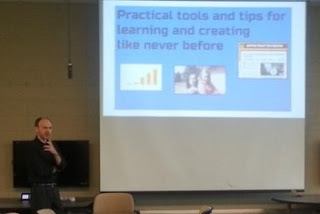 I will pass along free or inexpensive tips, apps or other resources that I use to teach. By the way, they pay me to do the tech stuff, so that's why it keeps coming up. Unique games and activities for learning - I love games. I make them and I play them a lot. I will always be writing about their benefit to learning. I compile the information related to creativity and critical thinking activities on their respective pages. Access them from any page using the top menu if you are interested in those topics. As mentioned above, I also have several posts about using music video projects to motivate students. I've found many of my lists have attracted attention, so here is my list of popular lists. These are classroom tech tips or insights for becoming a more effective teacher. 10 Tips for Recording Video in the Classroom - I repeat these things constantly to students during video projects. 8 Things I Emphasize When Teaching about Game Design - These are not specific to a class or resource. They are general thoughts I picked up as a designer or from hanging out with them. 6 Game Apps I Recommend for School - Being a gamer, I suggest these lesser known games are worth a look. They might only be good in a narrow range of uses in school. I would like to personally congratulate you as your blog Classroom Games and Technology has been selected by our panelist as one of the Top 75 Educational Technology Blogs on the web. I personally give you a high-five and want to thank you for your contribution to this world. This is the most comprehensive list of Top 75 Educational Technology Blogs on the internet and I’m honored to have you as part of this!